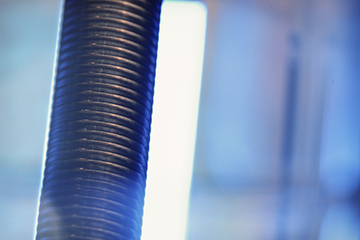 NEOTISS™ Helix Tube is the best solution available on the market to enhance the performance of your condenser. 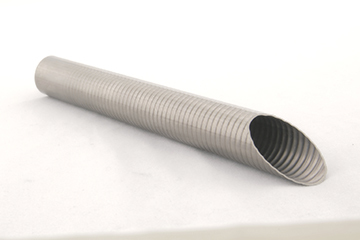 NEOTISS™ Helix Tube is a titanium tube with a patented helix design configuration which generates turbulences in the cooling water and consequently increases the overall heat transfer of the tubes. It has been developed through intensive research and trials to achieve the best balance between heat transfer improvement and pressure drop. 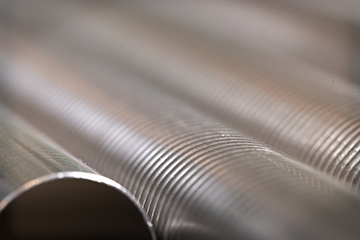 Trials performed on a pilot condenser for a wide range of parameters simulating industrial operating conditions confirmed a heat transfer improvement of minimum 40% compared to a smooth titanium tube with limited extra pressure drop. Its design has also been optimized to have the dimensional properties in accordance with the ASTM B338 standard and the ease of cleaning has been verified. For a new project, using NEOTISS™ Helix Tube allows you to reduce the cost and size of your condenser. For a revamping project, it allows you to increase the output of the power plant if the condenser is a bottleneck or can compensate a loss of efficiency due to a change of operating conditions such as an increase of the temperature of the cooling water.